Mr. Palani Kumar, IITM Alumnus (1971/BT/CH), is a Senior Advisor & Management Consultant to top leadership in Companies, Private Equity Funds, Business Schools and Consulting Organisations in India. His work covers Leadership & Organisation Development, Mentoring Directors, CEOs and CXOs, Corporate Governance, Strategy Refinement & Execution and Operations Enhancement. Mr. Palani Kumar has had a distinguished career spanning over 35 years in Marketing, Manufacturing and Enterprise Leadership, the last 18 as CEO / Managing Director. He has worked in leading organizations in the private sector, and in multinational joint ventures, in a variety of industries, including Paints, Bicycles, Automobiles, Tractors & Agri-Machinery, Steel and Aluminium. He has led teams in the successful establishment of green-field manufacturing enterprises and large projects in Aluminium & Power. His last Corporate assignment was as CEO & Country Head (India and South Asia), for UC RUSAL LTD., the Global Leader in Aluminium. He has served on the Boards of several large Public Companies, and is currently Non-Executive Independent Director on the Boards of Carborundum Universal Ltd., SBI Mutual Fund Trustee Co. & L & T’s Minerals & Material Handling Independent Co. He is a Founder-Trustee of the FOSTIIMA Business School, New Delhi/Mumbai. He has served on the Managing Committees of several Industry Associations, and was an active member of C.I.I. in New Delhi. He has been invited as Key Note Speaker in several Industry Conventions and Management Seminars. Mr. T.L. 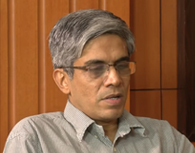 Palani Kumar is a graduate in Chemical Engineering from the Indian Institute of Technology, Madras (1971), and has a Post Graduate Degree in Business Administration from the Indian Institute of Management, Ahmedabad (1973). While at IITM, he was Captain of the Basketball & QuizTeams, and served as the Literary Secretary in the Student Gymkhana. He now lives in Mumbai with his wife & two daughters, all busy in their professional careers. He enjoys travel, poetry, theatre & serious cinema.